– Woods Valldata partnered with Guide Dogs to successfully reinvent and accelerate its Weekly Lottery. We first met with Guide Dogs in 2009 to work on their weekly lottery. 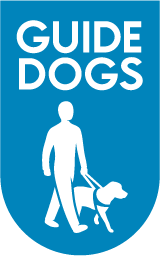 Guide Dogs needed a partner with the passion to refresh this fundraising route and the expertise to develop it into a significant income stream. Over the course of five years, we have assembled a comprehensive team drawing on a range of skill-sets capitalising on individual and corporate strengths within and beyond Woods and Guide Dogs. Throughout this time we have continued to work closely to build strategically and implement effectively. In 2014, Guide Dogs placed the priority firmly on acquisition, tasking us with bringing in a substantial number of new supporters via cold CPA telephone fundraising. We are proud to say that we have exceeded our target by 25% each month. Claire Baker, Direct Marketing Manager – Cash Giving – Guide Dogs. Woods has created and manages a seamless working relationship between a range of suppliers. We know that ease of communication, reporting and data transfer, supported by a knowledgeable and service-oriented account management team, has been fundamental to the success of Guide Dogs’ revitalised weekly lottery. Increased acquisition channels from 1 to 5 with the introduced of TM, F2F, online and events recruitment to support DM acquisition. Increased the number of players by 55%. Consistently over-delivered against monthly new supporter targets by 25% .